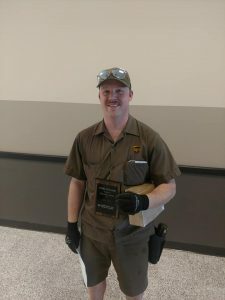 Jamestown (Chamber) Brandon Steele of UPS was presented with the April Customer Service Award to for his outstanding customer service. Congratulations to Brandon, who along with all the other monthly winners, will be recognized at the Chamber’s annual banquet in January 2020. Customer Service Award nomination forms are available at the Chamber office and on their website at www.jamestownchamber.com or call 701-252-4830.